Jóhann Jóhannsson's score for the 2014 film The Theory of Everything is to be reissued on vinyl next month. It's the latest in a series of reissues of work by the Icelandic composer who passed away in February, following on from the reissue of his debut album, Englabörn, this month. The score was recorded at Abbey Road Studios and featured in the film which portrayed the relationship between Stephen and Jane Hawking. 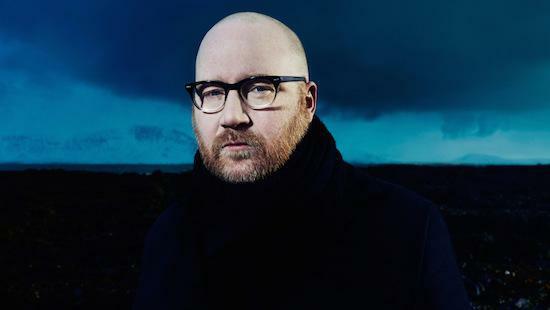 Jóhannsson won the the Golden Globe for best original score for the film in 2015, and was also nominated for an Academy Award that same year. The reissue will be made available in an edition of 1500 copies on blue vinyl, and marks the first reissue of the score since its original release in 2014. You can read Jóhann Jóhannsson's 2016 Baker's Dozen here.